Name on top. Max 12 characters. Name on bottom. Max 12 characters. 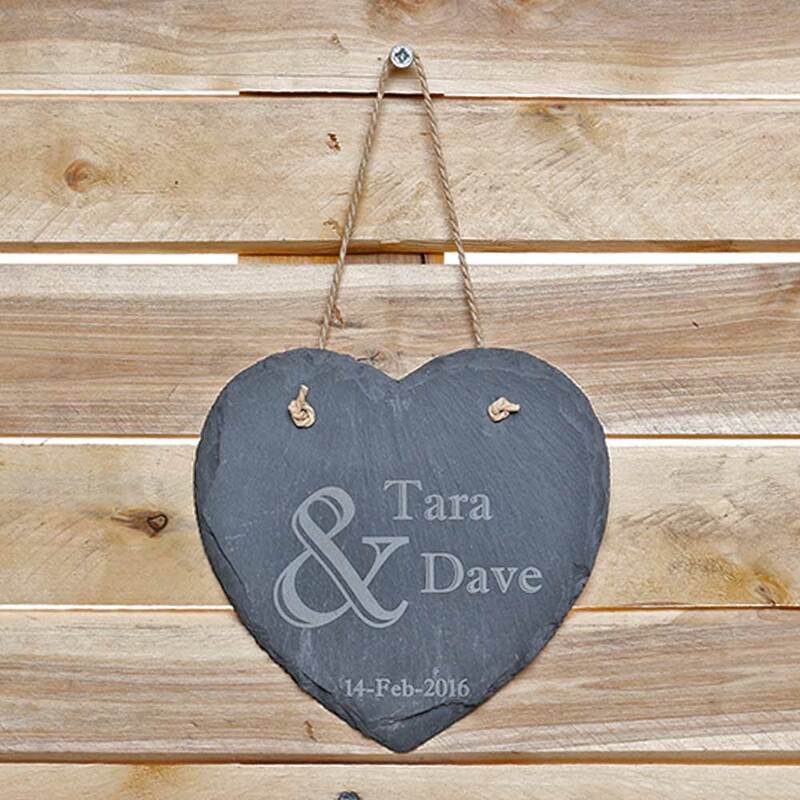 This hanging slate love heart would lovely suspended form a door or on the walls of your recipients home. It's a perfect gift for many different occasions, house warmings, engagements, birthdays, valentines day, anniversaries, new baby, mothers & fathers day. Personalise this love heart with your names or initials.